Today I was invited for a PR-event in Antwerp (Belgium). 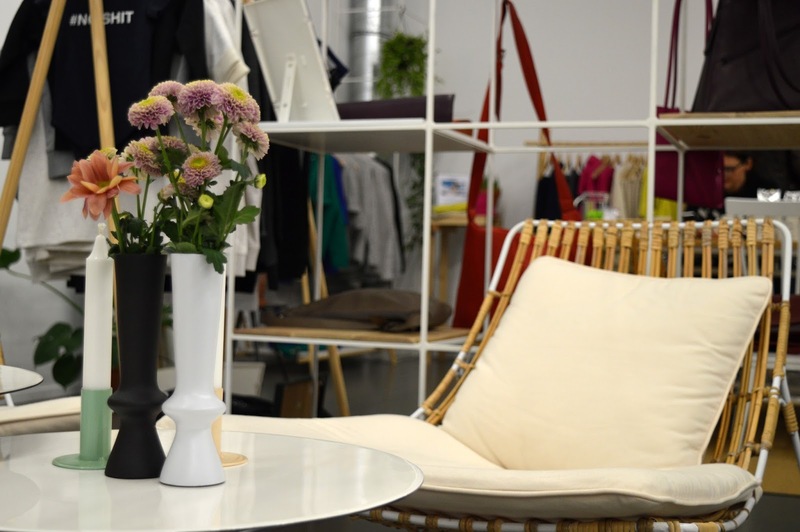 On this event several brands were collaborating to give the visitors a unique experience to discover their brands. Sit back, relax and enjoy all things I want to share with you from what I've seen today. 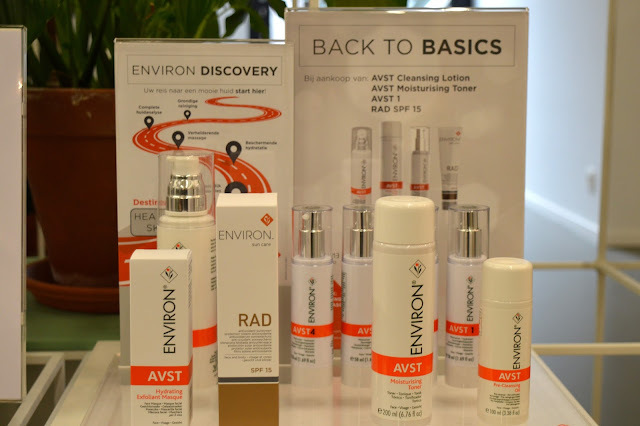 The first brand that caught my eye when I walked in, was Environ. I think the skin analysator is really what attracted me. 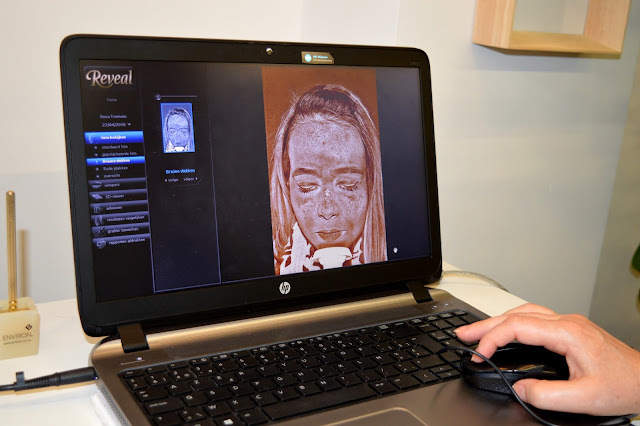 I never had my skin analyzed before, so this was quite an experience for me. I took place on the chair, my foundation was removed and a picture of my skin was taken. I had to place my chin on the holder (you can see it on the picture above). A flashlight went of for two times. My skin was captured, and the analysis could begin. At first, we zoomed in on the picture to see if there was some damage on my skin that could already be seen. Luckily for me, my skin was not bad at all. I only have to use even more hydrating products because I have a very dry skin. Yes, this image above is shocking. I didn't know what to say when I saw this. On this picture you can see what damage the sun had made on my skin, it is horrible. But there is also a good prospect. When I start to use sunscreen everyday as a basic product in my routine, the damage can be put on hold and my skin can recover and can even become more healthy. This is a picture that shows how my skin would be in 15 years if stopped using my skincare products. I only have one recommendation: keep using your skincare products, your skin will thank you by growing old beautifully. Off course the person who analyzed my skin also recommended me some products by Environ. Environ's philosophy is to maintain a beautiful skin for a life time, no matter what your age, skin tone or gender may be. I even got some products to try out and I will definitely come back to these products when I tried them out. 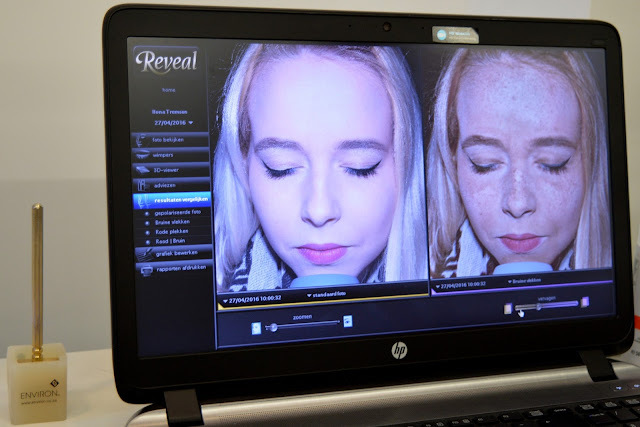 With all my foundation that was taken of for the skin analysis, I was invited by Jane Iredale's makeup artist to give me a quick touchup so my makeup would look flawless again. I got to see the spring collection by Jane Iredale in real life, and it was looking good! These are really my style of colors for an everyday makeup. All her mineral powders are foundation,s, concealers, powder and sunscreen in one! Her goal is to make products that look good, feel good and are good for the skin. I tried the mineral powder and I have to say: what a pigmentation! Because this is mineral makeup the pigmentation is really awesome. And hey, what do I spot there? 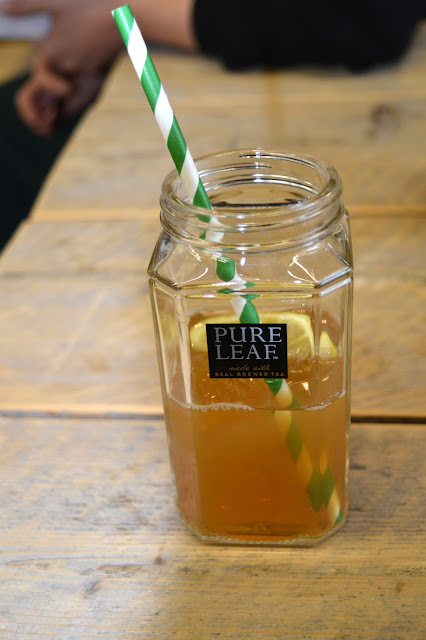 A drink by Pure Leaf, I will tell you more about this brand. 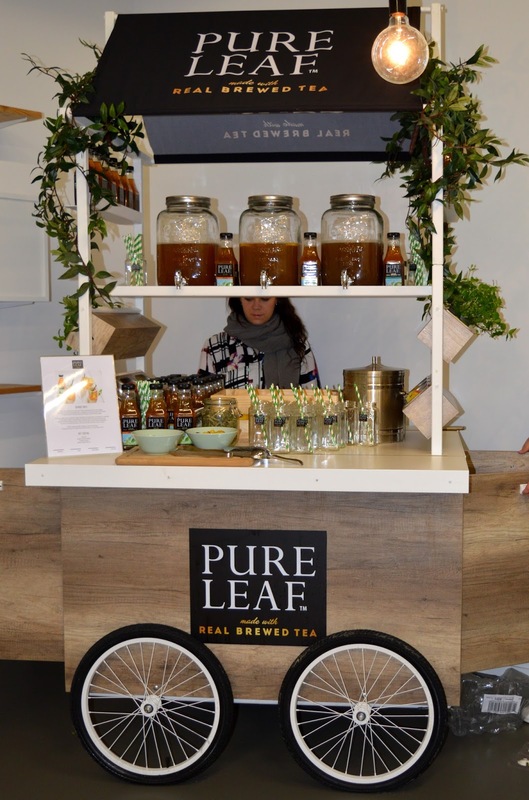 There was a cosy drinking stand with some tea by Pure Leaf. Off course I wanted to taste it myself. And I have to say, it was good (at least the first drink was). I got myself a Pure Leaf Lemon Tea. This is 95% real tea with some lemon extracts added to it. But then, they gave me a bottle of the Pure Leaf Mint Tea. Same principle as the Lemon version, only in this one mint extracts are added. I didn't like this one at all, but maybe it was my taste that was different? And then something cute caugt my eye, the plants by Phyt. 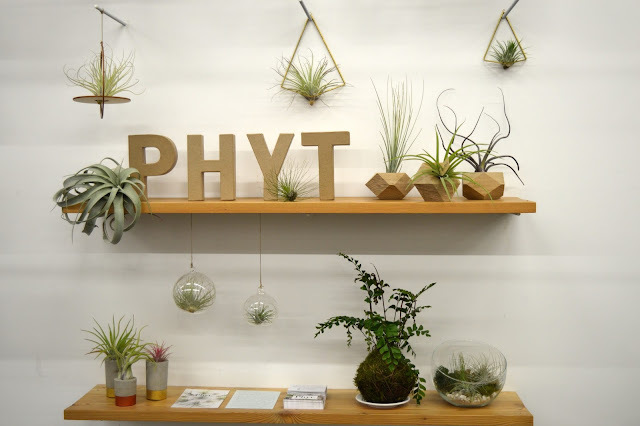 Epi(Phyt)e are airplants that only need daylight and occasionally water to survive. These plants are very easy to care for and add a unique green detail to your home. I really think this composition of plants is adorable. In this picture you can see the place where all the magic happened today. I am so glad that I was invited to this event. The brands jane iredale and environ are sold worldwide and you can check their website to find your nearest sellingpoint. Pure Leaf is from the same distributor as Lipton (Ice Tea), so they will come in you supermarket soon! What do you think of the products I spotted today? Are you interested in one of them? Wat leuk! Zo kan ik toch ook een kijkje nemen, want ik heb al een hele tijd geen enkel event meer kunnen doen omdat ik ziek ben. Wow, that's amazing! 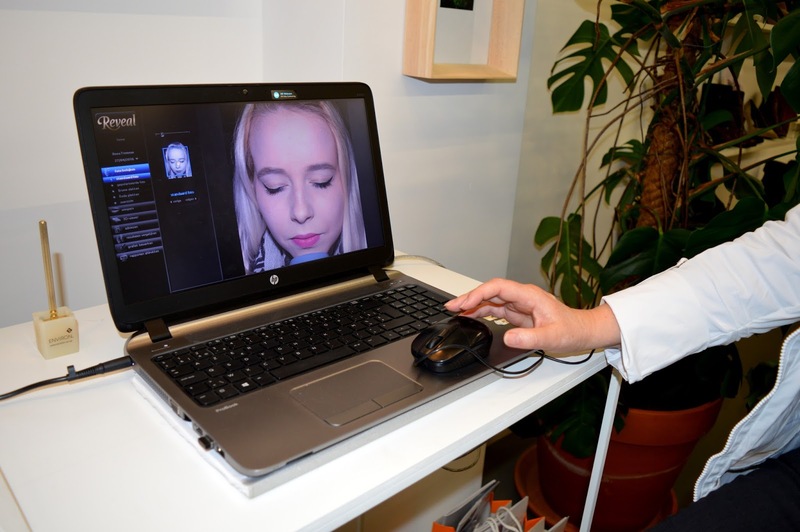 I've never had my skin analyzed before either, but I did have my scalp done at an event with Jose Eber and as healthy as my hair looked, it showed how clogged my follicles were! So, goes to show that we can't be fooled by how things look on the surface to the naked eye, we have to constantly and consistently take care of our skin and body! What an incredible experience and thanks so much for sharing! Zo'n huid analyse lijkt me ook een keer goed om te doen, ben echt benieuwd wat ik dan te zien krijg. 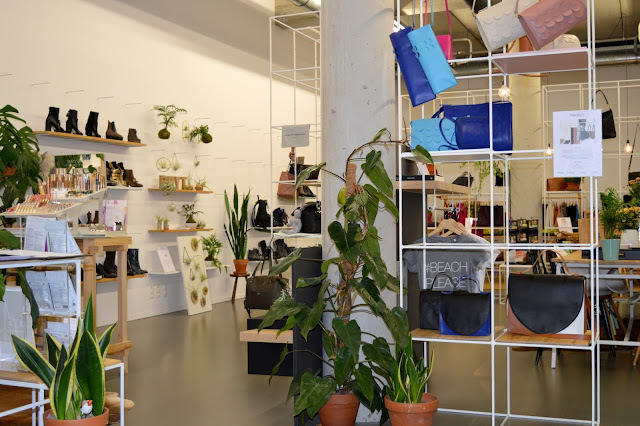 Toffe blogpost! De BB crème van Jane Iredale is echt top, moet je zeker eens proberen! Sounds like a great event, dear! Looks fabulous! Gostei do post, bem legais esse produtos não conhecia a marca. Wow! this would have scared me too. Thx for sharing, doll. I couldn't agree more with you, taking care of our skin is so important, not just for the beauty but also for our health. Looks like a fun event!! Great shots! Leuk event en fijn om een kijkje te kunnen nemen via jouw foto's! 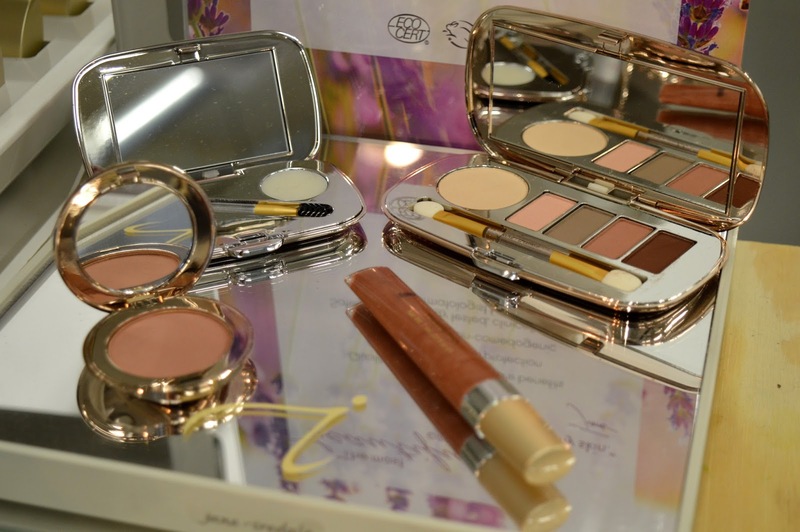 Jane Iredale is een fijn merk!